It is a project the former chair of the computer and electronics department feels will be a disruptive technology. Chen said it will change the way he and other baby boomers find alternative housing solutions during their golden years. Dr. Chen is partnering with OPPD and other groups on the Small Sustainable House. ready to enter their next phase, Chen said, good affordable housing is a growing need all over the country. Read more here. Prototype Image: Chen said the home is well-insulated and can be heated with just 16 candles. The home will have 32 PV solar collectors on the roof to generate electricity and have a whole-house battery storage system. This entry was posted in Green Building, Nebraska / Midwest News and tagged Assisted Living Units (ALUs), Dr. Bing Chen, Lincoln ordinance allows homeowners to place an ALU on an existing property, Nebraska Environmental Trust, Omaha Public Power District (OPPD), Small Sustainable House, solar-powered small sustainable homes, solar+storage on January 28, 2019 by Helen Deffenbacher. “These highly energy efficient and solar-powered homes will save families money on their energy bills from the moment they walk through their front door,” stated Knutsen, the director of technology advancement for the California Solar & Storage Association (CALSSA). Knutsen also notes that this will include a solar plus storage option. Read more here. This entry was posted in Energy Storage, Green Building, NewsBlog and tagged California Solar & Storage Association, California's solar mandate for new homes, community solar, innovative solar policy, Nebraskans for Solar NewsBlog, Solar Energy Industries Association (SEIA), solar+storage on December 5, 2018 by Helen Deffenbacher. Morrissey Engineering announced that its headquarters, the 4940 Building, has been awarded LEED Platinum certification under the v4.1 O+M beta rating system. The LEED (Leadership in Energy and Environmental Design) rating system, developed by the U.S. Green Building Council (USGBC), is the foremost program for buildings, homes and communities that are designed, constructed, maintained and operated for improved environmental and human health performance. This is the second LEED Platinum certification for the 4940 Building, which became the first Platinum certified project in the state of Nebraska in 2009 as part of original construction. The certification is also the first of its kind in the U.S. Continue reading here. 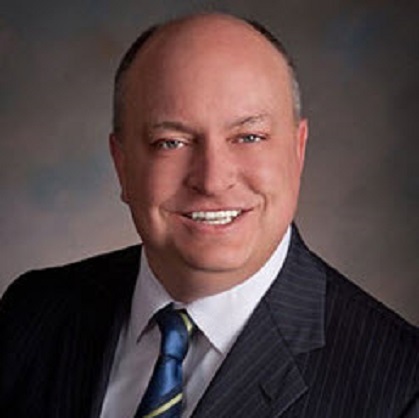 Note: Jared Friesen, NABCEP-Certified Renewable Energy Specialist with Morrissey Engineering, is Nebraskans for Solar’s immediate Past President, having served as President in 2017. Nebraskans for Solar’s board has the governance structure of President, President-Elect and Past President. The UNMC campus will soon house 1,487 solar panels in a rooftop solar installation atop three campus buildings: the Michael F. Sorrell Center for Health Science Education, Truhlsen Eye Institute, and the Harold M. and Beverly Maurer Center for Public Health. The panels will generate up to 500 kilowatts of solar-powered electricity to help power UNMC, beginning in 2019. Morrissey Engineering also provided design services and project management for solar installations at the Henry Doorly Zoo & Aquarium’s Skyfari station at the Africa Grasslands exhibit, Lincoln Electric System’s Service Center, the Bellevue Public Safety building, and several Baxter auto dealerships in Lincoln and Omaha. This entry was posted in Green Building, Nebraska / Midwest News and tagged Leadership in Energy and Environmental Design (LEED), Morrissey Engineering Inc (MEI), solar-ready building preparation, U.S. Green Building Council (USGBC), University of Nebraska Medical Center (UNMC) on October 28, 2018 by Helen Deffenbacher. One year ago we raved when Central Community College opened its 63,000-square-foot center in southwest Kearney. The structure at 11th Street and 30th Avenue employs numerous strategies for energy efficiency. Among the strategies are innovative skylights, solar-powered lights in the parking lot, walls that seal out heat and cold, and windows that can darken like sunglasses to reduce the greenhouse effect to rein in air conditioning costs. The CCC Kearney Center also is purchasing power from the SoCore solar array at TechoNE Crossing, Nebraska’s largest solar array. 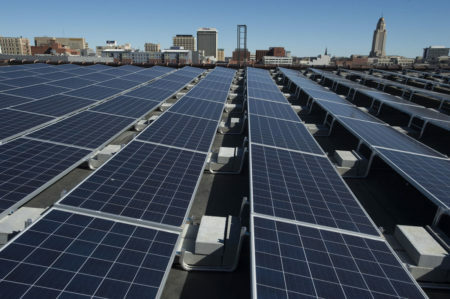 Combined with the many efficiencies, adding the solar power boosts the center’s green rating and makes it a model of modern eco-friendly engineering, construction and facility operations. Continue reading here. This entry was posted in Community-Scale Solar, Green Building, Green Campuses, Nebraska / Midwest News and tagged CCC Kearney Center, Central Community College, Interconnection Systems, Kearney Hub, Kearney's TechoNE Crossing technology park, Morrissey Engineering, NPPD's SunWise Community Solar Program, SoCore Energy on September 18, 2018 by Helen Deffenbacher. 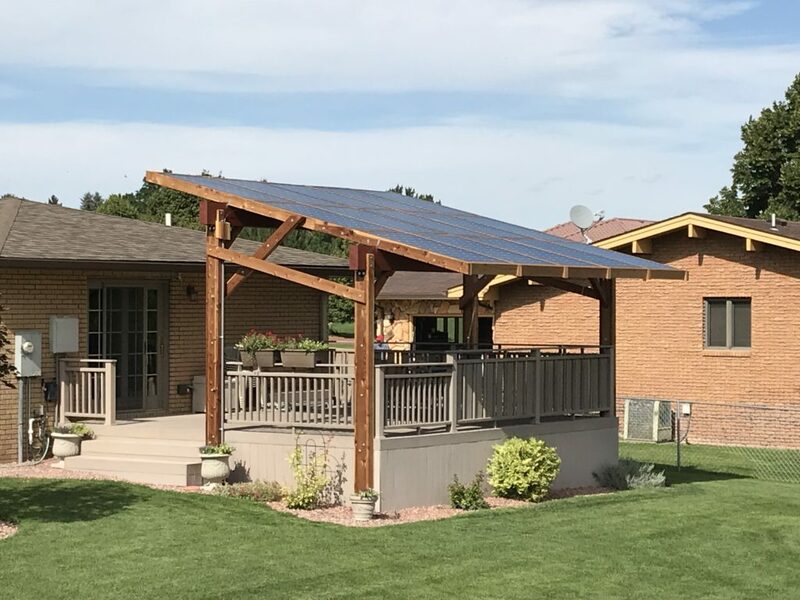 This entry was posted in Green Building, Nebraska / Midwest News and tagged homeowners' assisted DIY solar projects, Nebraska Wind and Solar LLC, Solar Examples on July 29, 2018 by Helen Deffenbacher. In this op-ed for pv magazine, Camron Barati explores the trend towards what increasing state-level renewable power and storage targets mean for the U.S. market. 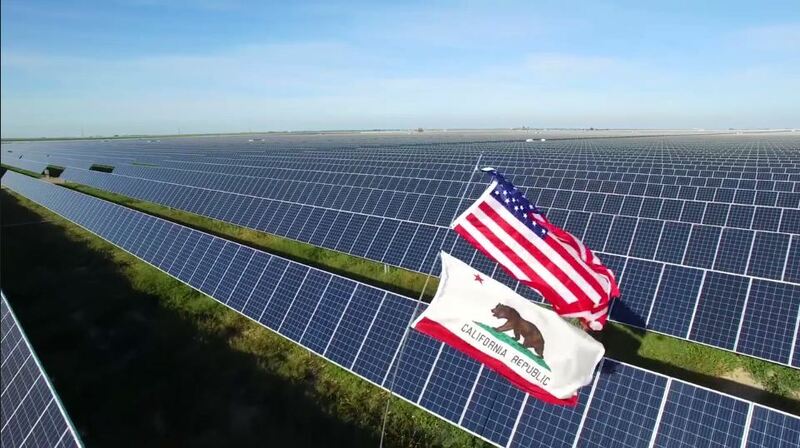 The company projects 73 GW of solar PV systems will be installed in the United States from 2018 to 2022. Read more here. Camron Barati is a Senior Analyst with IHS Markit Technology. Camron is part of the IHS Markit Technology Solar and Energy Storage Group and responsible for researching solar PV and energy storage markets in North America, covering supply chain trends and downstream market dynamics. He is based in Austin, TX. Prior to joining IHS Markit, Camron worked as an associate with GTM Research as part of their solar analyst team. 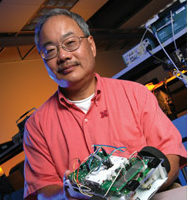 He also has experience working with the National Renewable Energy Laboratory and Enphase Energy. Top Renewable Energy Financiers Reveal Pathway To $1 Trillion In U.S. Investment, by Silvio Marcacci and Gil Jenkins, Forbes Contributors. Silvio is Communications Director at Energy Innovation. Gil is Vice President of Communications at ACORE. The Tom Steyer-backed initiative has turned in more than double the number of signatures needed to get on the ballot, as the state regulatory body pushing a pro-nuclear alternative faces yet another scandal. 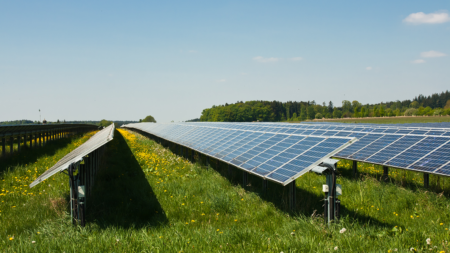 425 MW of solar projects – including one on the site of a former coal mine – could exponentially increase the state’s installed capacity. The developer has energized its Mount Signal 3 project which it expects to be fully commissioned and online by the end of 2018. The project is the second of three plants at one site which total almost 800 MW of solar power. 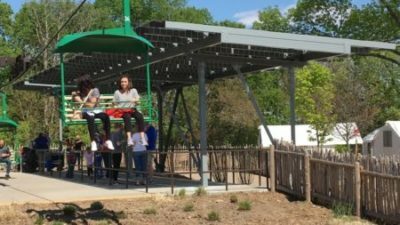 This entry was posted in Energy Storage, Green Building, NewsBlog and tagged financing, innovative model zero-energy neighborhood program, Nebraskans for Solar NewsBlog, renewable energy jobs, renewable energy news, renewables+storage, solar loans, zero-energy neighborhood on July 12, 2018 by Helen Deffenbacher. ESCANABA — The installation of solar panels for a solar energy farm at the Delta County Airport was recently completed, officials involved with the project said. “All the racking and all the panels are installed,” City of Escanaba Electric Superintendent Mike Furmanski said. The facility includes a total of 3,510 solar panels . . . Furmanski said he appreciated the work GRNE Solar has done to make this project a reality. Read more here. GRNE Solar teamed up with Wilderness Construction to build this net-zero energy home, with solar on the roof and outlets for electric vehicles in the garage. The home, called The Sun Haven, is located at 6077 Chartwell Lane in Lincoln. Through the use of solar power this home will produce as much energy as it consumes. 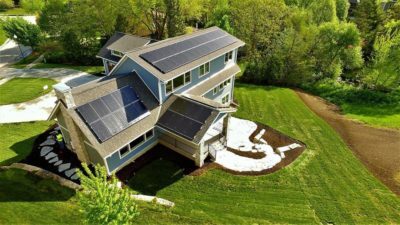 GRNE Solar featured the home on the 2018 Home Builders Association of Lincoln’s Spring Parade of Homes. This entry was posted in Community-Scale Solar, Green Building, Nebraska / Midwest News and tagged Escanaba Daily Press, GRNE Solar in Nebraska, innovative solar energy projects, Jordan Beck, net-zero energy buildings, The Sun Haven on July 10, 2018 by Helen Deffenbacher. May 2018 – one of the hottest Mays in years – kept OPPD’s generating stations running overtime to keep up with the air conditioners. OPPD’s two baseload facilities – Nebraska City and North Omaha stations – were at the forefront of that generation. But so were OPPD’s peaking stations at Cass and Sarpy counties as well as Jones Street Station, one of OPPD’s oldest stations. Continue reading here. Photo: Telesis Inc’s Net-Zero Energy Business Complex in Lincoln’s Haymarket. 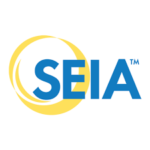 Using Solar to Reduce Peak Loads: Evaluating Rhode Island’s Distributed Solar Pilot – Clean Energy States Alliance (CESA) Webinar, July 12, 2018, 12 to 1 pm CDT. Register here. 1 to 2 pm CDT. Register here. Due to the complexity of energy pricing, two identical buildings can consume the same amount of energy and have profoundly different utility bills. Demand charges are a reality for every building but with the right data it is possible to identify and solve the issues that cause high peak demand and expensive utility bills. 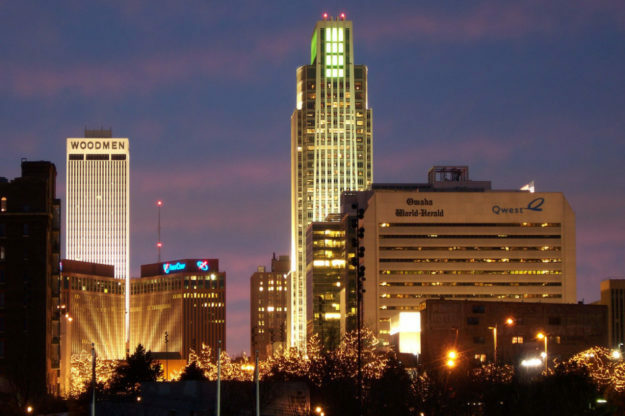 – Jeff Gorrie is an energy efficiency professional who lives in Des Moines, Iowa. He has a bachelor’s degree in mechanical engineering from Iowa State University. Jeff works at a national energy efficiency consulting firm and has completed over 1,000 commercial energy assessments. Jeff is certified as an Energy Manager (CEM), Building Analyst (BPI BA), and Envelope Professional (BPI ENV). This entry was posted in Energy Conservation, Green Building, Nebraska / Midwest News, NewsBlog and tagged Clean Energy States Alliance, demand charges, Energy Manager Today, National Renewable Energy Laboratory (NREL), Nebraskans for Solar NewsBlog, peak demand reduction strategies, The Wire - OPPD blog, using solar to reduce peak energy loads on July 9, 2018 by Helen Deffenbacher. Is the new California solar mandate a threat to utilities across the country? California, a leader in clean energy, is the first state in the country requiring new homes to include solar panels, beginning in 2020. 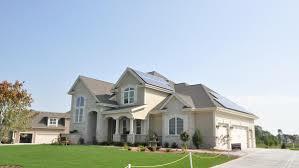 What’s more, the Sunshine State’s mandate provides incentives for homeowners to pair energy storage with solar. What does this mean for utilities across the U.S.? Read the sponsored post here. Photo by GRNE Solar: The Sun Haven – Solar-Powered Net-Zero Energy Home in Lincoln, Nebraska. See Solar Examples. As Golden State utilities approach 2 GW of battery capacity, lawmakers are preparing mandates for 2 GW more. During Climate Week last September, GTM reported that 110 corporations with a total energy consumption of 150 terawatt-hours a year had signed up to a commitment of achieving 100 percent renewable power by 2020. According to GTM Research, meanwhile, corporate solar installations exceeded 3 gigawatts in 2017 and the U.S. now has 11.6 gigawatts of projects with corporate or commercial offtakers. Presentations by Duke Energy, NREL, Fluence, GE and the EIA itself showed that energy storage is becoming a fact on the ground. This entry was posted in Green Building, NewsBlog and tagged corporate renewable energy procurement, Nebraskans for Solar NewsBlog, renewable energy, renewable energy storage, small wind power market, Utility Dive on June 13, 2018 by Helen Deffenbacher.